YashOne is a common platform for business and IT that provides visibility across both the domains. The data from various sections of business can be unified, visualized and operated upon. YashOne runs parallel to your existing solutions and integrates with them to provide a unifed experience. This allows to make all your technologies operate in unison as ONE. YashOne allows you to provide required access to your teams across all stages of software development. The predictable nature of system also allows in eliminating blockers and dependencies. YashOne is capable of integrating any of your existing technologies via CLI, API, Data Streams or direct agents. This allows to form one system that has multiple tools as components operating as an one unified event based system. We integrate with tools like Syslog, SSH, etc and allow direct CLI access to automate day to day activities and execute existing scripts. Splunk, Elasticsearch, Graylog, or data streams from Fluentd or Logstash are all consumed and searchable from here. You can check status of multiple technologies at any given moment. Compare data from various points in time with help of snapshots. 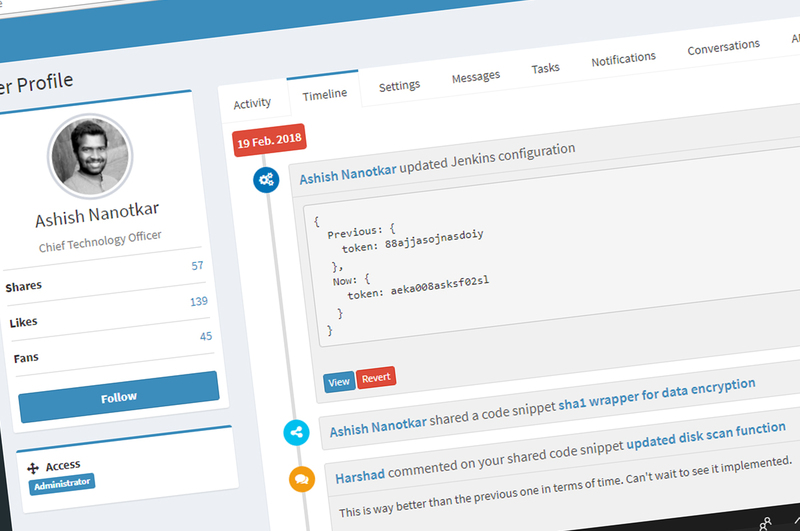 Github, Jenkins, Jira, bugzilla, ServiceNow and reviewboard are now integrated as one. Tickets are auto updated and tracked. All the creative solution scripts you built can now be executed automatically on triggers and changes are tracked. Bot can be trained to do things on your behalf. System provides user control via LDAP or AD. 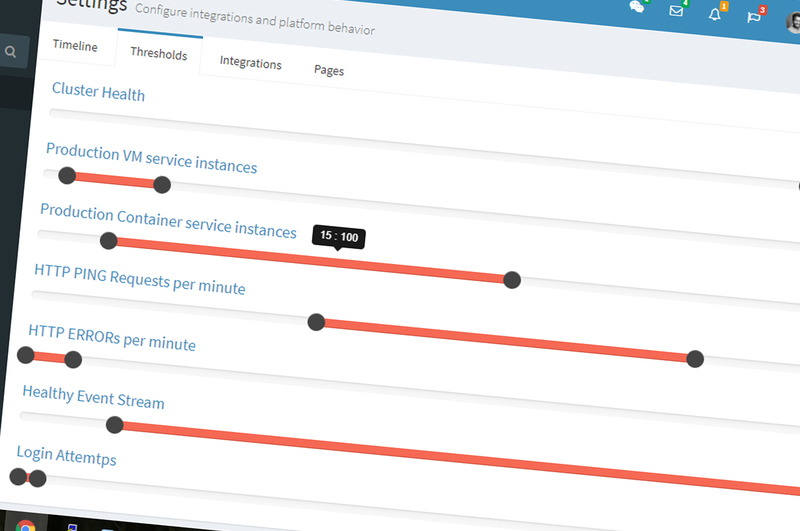 Audit logs are stored and presented as searchable timelines. Access to API, CLI and UI is granular and user specific. In today’s world where there is a lot of disruption in the market place companies can no longer rely on past success. Using YashOne you will gain visibility into applications like never before. You will have the ability to eliminate redundant processes and simultaneously significantly reduce your outstanding tickets. You may think if we have less tickets there is less work but that is not the case, the work is then focused on innovation. There are many companies talking about tech debt, at Yash we are in the business of eliminating it. Talking about allowing your teams to be responsive to the line of business is interesting in theory, but with YashOne you will see first hand how we will make your teams stronger, more responsive & ultimately keeping your business competitive for years to come. Meta Automation is the automation of existing technologies for increased productivity. When we talk about productivity we are referring to the elimination of redundant work that is jamming up IT departments from providing value to the business office. Drop us a message to know how. We have focused on our clients and have come up with features that Wow’s them and also sets us apart. YashOne helps in finding issues in components and service and also automate the response. Handles your service tickets for you and also closes them when issues are fixed. Your system was never so transparent. YashOne tracks all system activities and generates an audit trail. Timelines represent component trail of activities and helps in tracking the changes to your system, environment, application, users and more. Your C-Level officers need information from various IT and Lines of Business in a format that shows current state and can be tracked. We offer just what you need. Realtime. Your apps, environments, projects and IT all presented in one place so that you don’t have to jumble between various tools and teams. 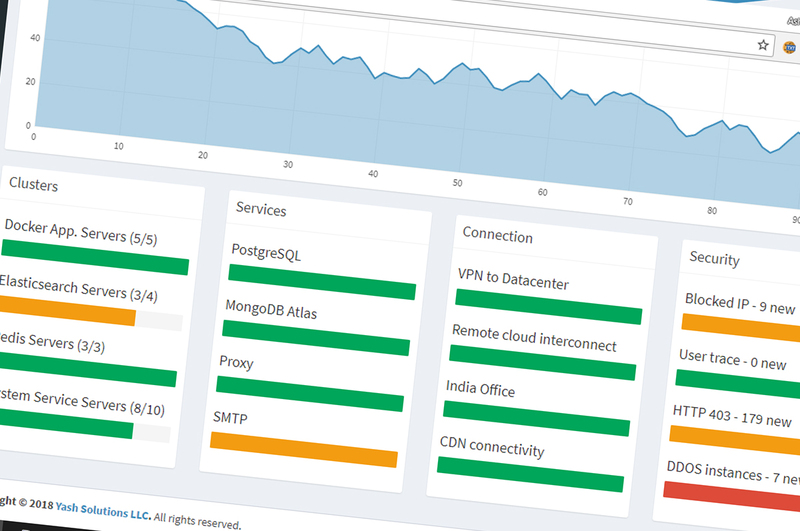 Track your software deliveries and application status realtime. YashOne provides complete control and view of your CI/CD process, with audit, application versions and issues. 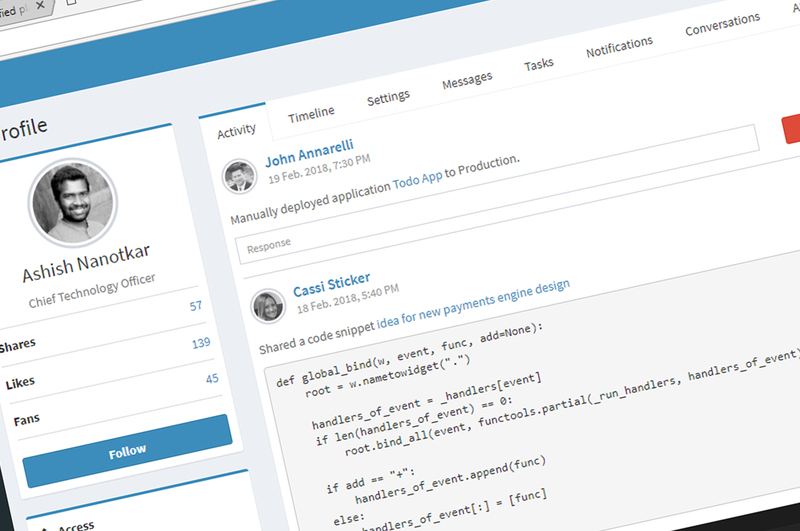 Track your work in one place with visibility projects, tickets, Code activity, bugs and contributions. 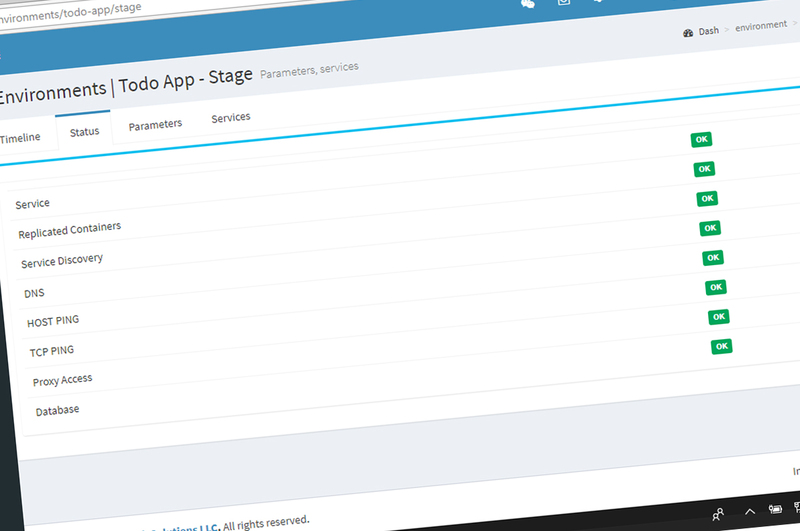 You get to see your application deployments and IT state of the live app with control over the environments. Bugs, reports, tickets and issues are maintained for you. Automated status checks on the bugs if they are fixed or not. Check the code coverage, feature released and application versions in environments. You are unique and wear multiple hats. You can build your own summary screens to show information from all the integrated components on YashOne. YashOne is a unified platform for your Business and IT to provide ultimate visibility, transparency and auditability to your teams. You will be amazed at how we achieve collaboration and communication between your teams and automate their day to day operations to allow them more time for innovation and creativity. Ever tried to pull data from multiple sources and tools into your reports. YashOne does it effortlessly and realtime that allows you to have visibility across components. You can interact with your systems from your own devices. YashOne allows interfacing through UI, CLI, API. To add to the excitement a bot is always available to take your commands through text, email, chat or voice. YashOne allows your teams to work in a way they have never before experienced. We enhance their work experience. Data that is generated at the base level is presented as relevant information at various user levels. Redundant processes are converted to patterns and automated. Interesting, right? Call us today for a demo. Platform does a lot of things and is able to automate your solutions for you. This is a list of some features that we absolutely love. Share and bounce ideas, collaborate and track activities. You will always know the process your teams are making and also allows transparency across all hierarchies. YashOne is a powerful platform and you can set operational boundaries for it to perform as you like. Set the limits and work worry free. Check not just the application but the components and services that build it. You can easily track and debug the issues. Tasks are generated automatically on issues. Finding issues amoung an ocean of machines and services is an extraordinary feat. YashOne makes it easy by showing what is relevant. Track your activities so that you can learn from your mistakes. Maybe also revert them! You have a time-machine at your finger tips. 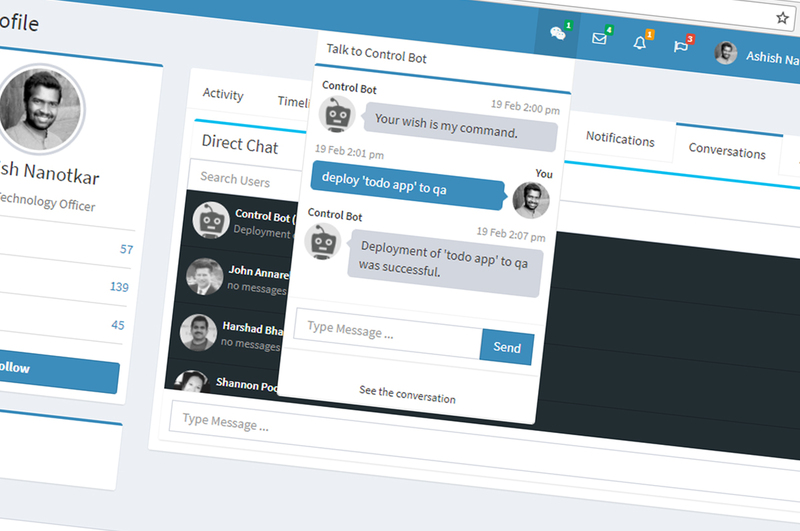 Control bot is your digital assistant whom you can train and let automate your redundant work. It also keeps an eye for you and fixes problems that it knows. Join us. Let’s make a difference today for a well established tomorrow.